This is a sponsored conversation written by me on behalf of Bush Brothers & Company. The opinions and text are all mine. Does your family do Meatless Mondays or Taco Tuesdays? I’ll admit, I try to remember these fun little weeknight traditions but it doesn’t always happen. Also, I tend to get in the habit of dinner ruts where I make the same thing week after week. I am trying to expand my family’s taste buds to try new and different meals. And I found a winner with this recipe right here! And the best news? This is a one pot meal that you could easily put on in the morning before leaving for work and school and it will be ready whenever you get home. The flavors get better the longer it hangs out. We served this up with some cornbread. It was perfect! This is a whole meal in itself but it also makes a great side-dish soup too! 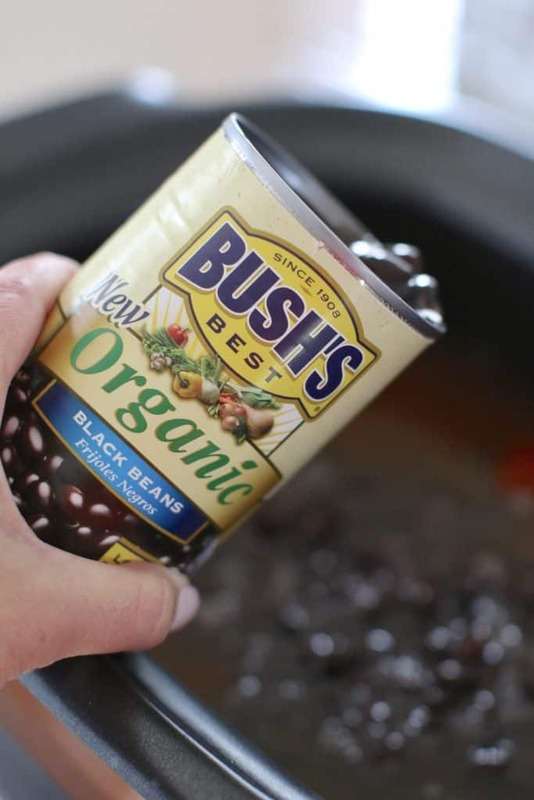 It’s chock full of BUSH’S®Organic Black Beans so it’s packed with protein and fiber (which means it’s filling!) Seriously. I could not get over how good this was. Even my family loved it and they are serious carnivores. Ha! Score one for Momma! Just wait until you see how easy this is. You literally throw it all in the pot and walk away! You can make it as spicy as you like. I’m kind of a wimp when it comes to spice so I keep it on the lame side but feel free to add a bit more chipotle chili pepper powder to the mix. It is absolutely the best served with a dollop of sour cream and shredded cheese on top! 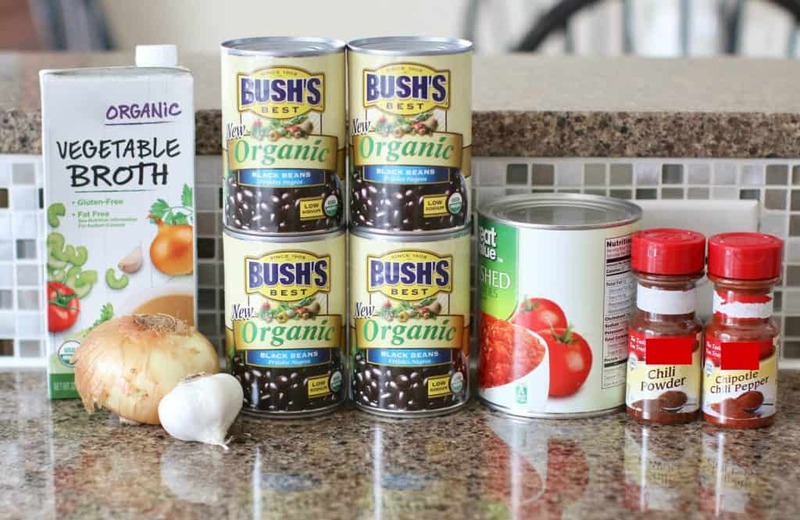 In a 5-6 quart slow cooker, pour in vegetable stock, tomatoes, BUSH’S®Organic Black Beans, onion, garlic, chili powder, chipotle pepper powder and salt and pepper. 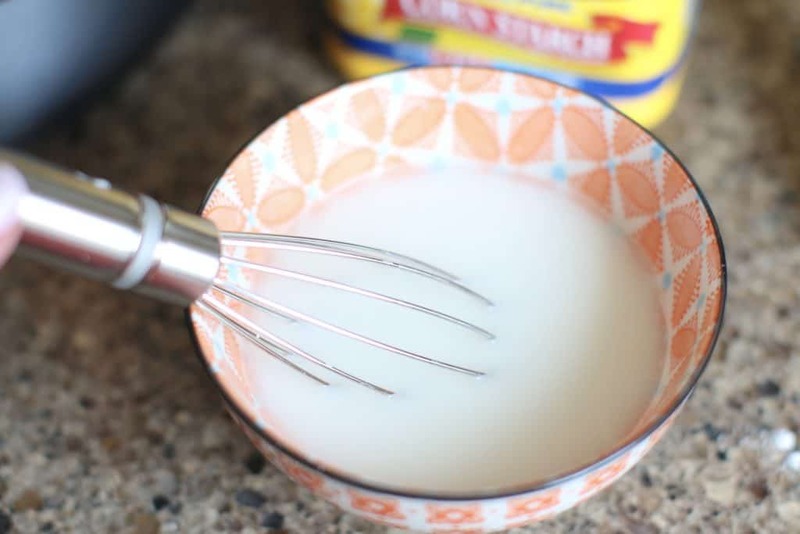 A half an hour before serving, whisk together water and corn starch in a small bowl. 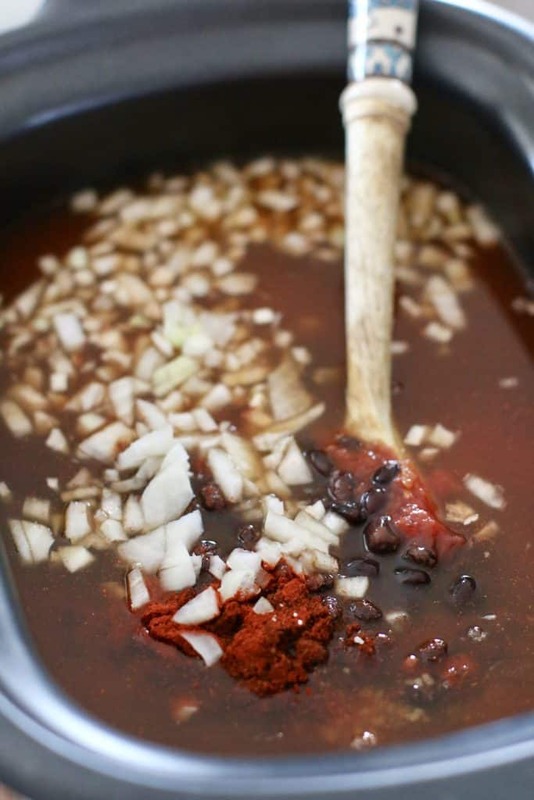 Pour mixture into slow cooker. Stir. Then, take a potato masher and mash half the beans. This will all help to thicken the chili. Cover and cook on high for an additional 30 minutes. 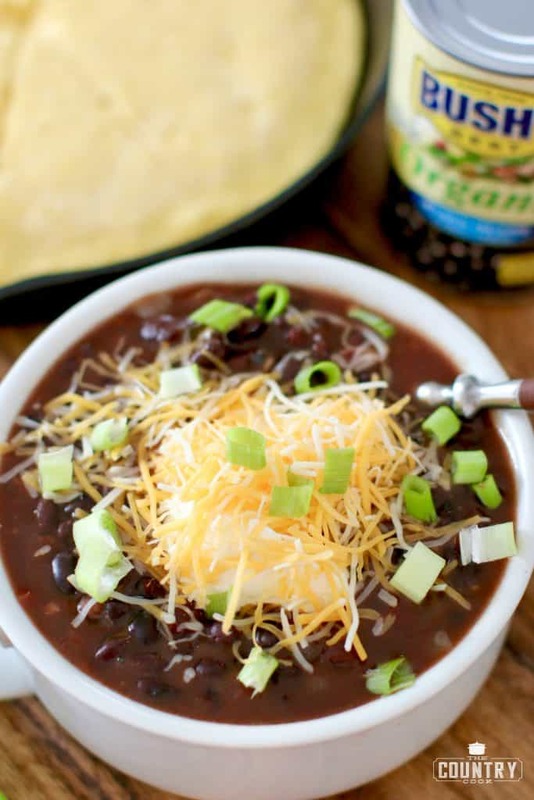 Ladle into bowls and top with sour cream, cheese and green onions. 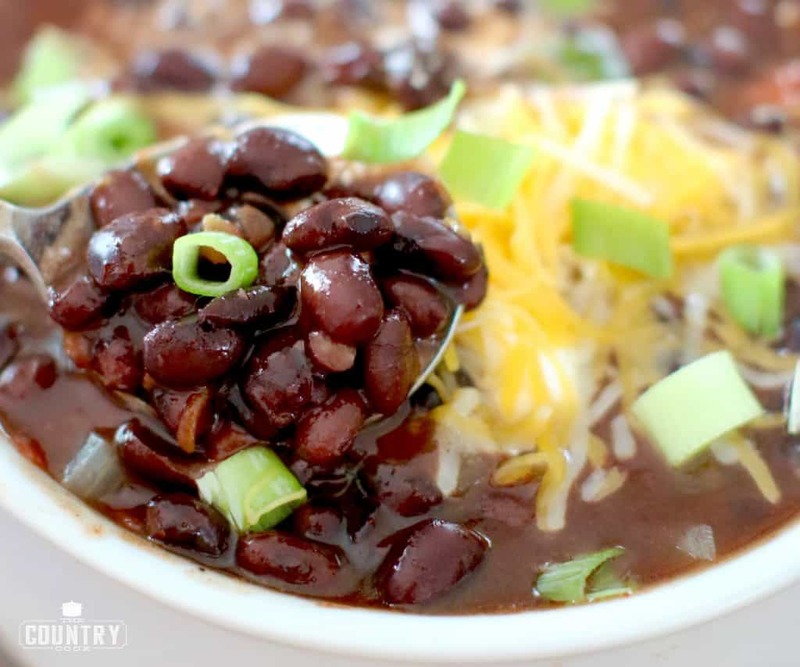 This vegetarian Slow Cooker Black Bean Chili is so good, you won't miss the meat! Hearty and so delicious! Perfect for meatless Mondays! 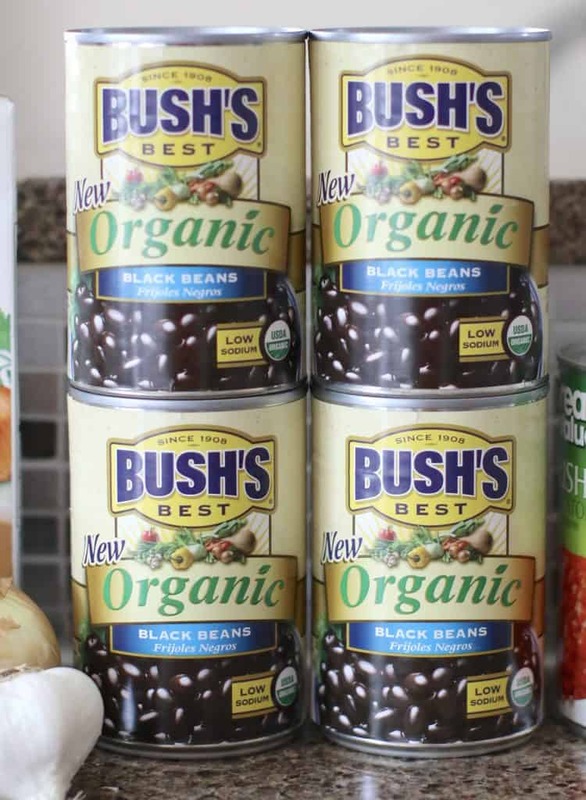 In a 5-6 quart slow cooker, pour in vegetable stock, tomatoes, BUSH’S® Organic Black Beans, onion, garlic, chili powder, chipotle pepper powder and salt and pepper. Give it all a good stir. Cover and cook on low for 8-10 hours. Then, take a potato masher and mash half the beans. This will all help to thicken the chili. Cover and cook on high for an additional 30 minutes. Ladle into bowls and top with sour cream, cheese and green onions. 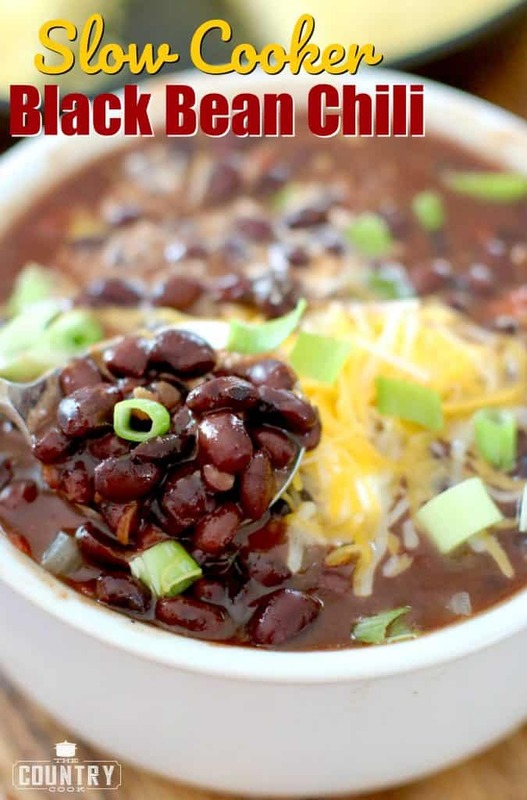 If you’d rather make this with dried black beans, what would the amounts be for that? You’d have to adjust the liquids and beans…possibly the cook time? I appreciate that your recipes use simple ingredients that I usually have on hand. Certainly makes it easy for me. 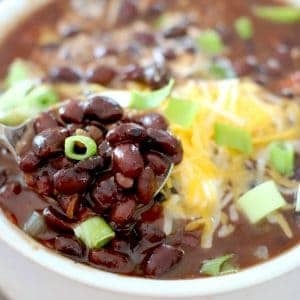 We are chili lovers and will definitely try this recipe for Black Bean Chili !! So sweet – thank you Susan! I know this is a vegetarian recipe but my hubs is such a carnivore and we have a gigantic fam so I double everything. I added 2 lbs. Browned ground turkey and instead of vegetable broth I used chicken. I saute my onion and garlic before adding too. 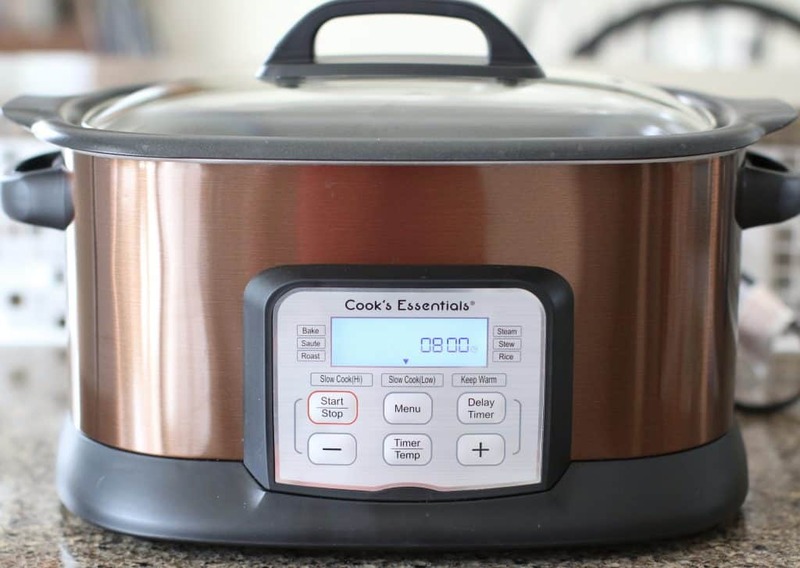 I have a giant crockpot but this exceeded my space so I switched over to a giant pot. I brought it to a boil and then. simmered it on stove 3+ hrs. It’s so good! 2nd time making it. 1st time I did in crock pot like in recipe.